UCS | Curt Prichard - Universal Consulting Services Inc.
Curt Prichard is Vice President of Government Services at UCS. With over 25 years of experience in organizational leadership and healthcare administration, Curt oversees the development of company services and growth strategies in the federal sector, fosters client relationships, and shapes new business opportunities. He focuses on recognizing and meeting staff and customer needs, while liaising with internal and external stakeholders in achieving collaborative solutions. A former Air Force Medical Service Corps Officer, Curt has served in a variety of executive positions, including within the White House Medical Unit, Defense Health Headquarters, and Office of the Air Force Surgeon General. He is skilled in operational decision‐making, strategic plan formulation and implementation, leadership development, and program management. 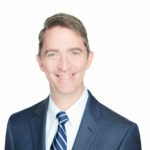 Curt possesses a wide range of experience, including significant experience in human capital management, military treatment facility operations, and strategic communication. Curt has a Master’s Degree in Health Administration from Baylor University and a Bachelor’s Degree in Business Administration from The University of Tennessee. He is board certified by and a Fellow of the American College of Healthcare Executives (ACHE).